Visual support aimed at clarifying which are the activities that are going to happen or that have to be done in different environments (work table, playground etc. ), facilitating the predictability for students with autism. 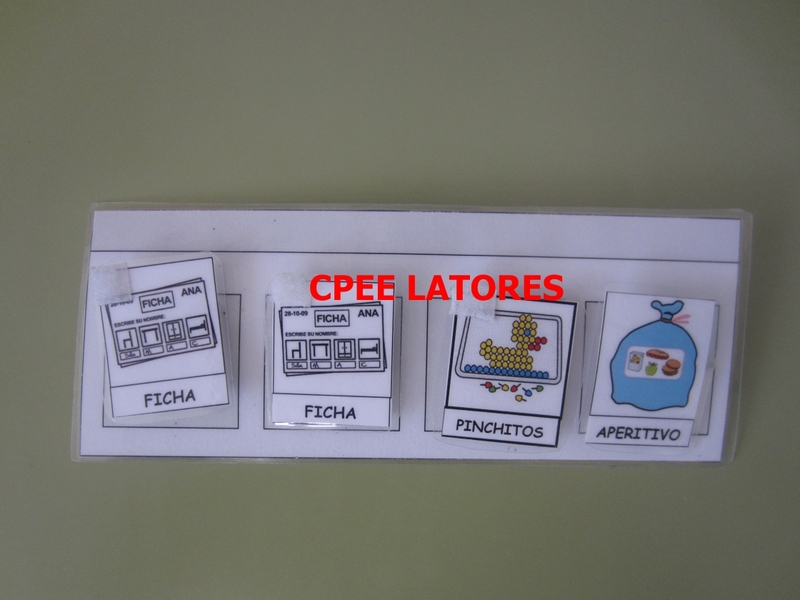 It was developed by the CPEE_Latores within the CREEME Project (Resource Center for Special Education and other Specific Measures). This project consisted in the conversion of the specific center into a resource center for the ordinary reference schools of the students with autism enrolled in combined education.